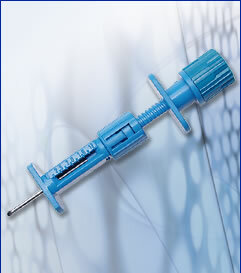 Comprehensive Range of bone marrow aspiration / harvesting biopsy needles for use on the iliac crest. The MIELO-CAN ILIAC° needle is triple sharpened and has been ergonomically designed with a large grip for secure handling and ease of use and reliability, specifically for bone-marrow collection from the iliac bone. 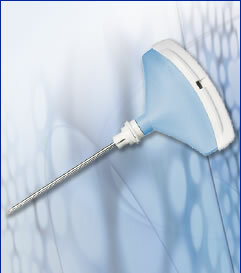 Sterile, single-use: reduction of infection hazard . BEST-LISAS DUAL° has a variable grip handle, suited to a large (man's) hand or a small (woman's) hand. The grip handle is also fitted with Lauer Lock. The unique NOLOSE core retention system assures success for a majority of cases. For soft bones or critical pathologies the use of BEST-LISAS DUAL needle combined with the accessory SAFE-LOCK® will always guarantee success in the specimen acquisition.NO MORE LOST CORES! Without any Jamshidi-type point (conical tapered), BEST.LISAS DUAL is considerably less traumatic. 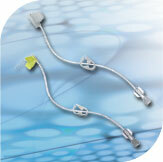 bone with less pain to the patient and ease of use for the physician. 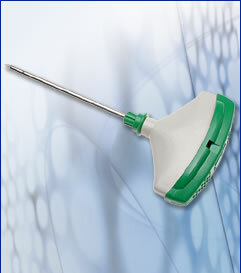 Sterile, single use: reduction of infection hazard. 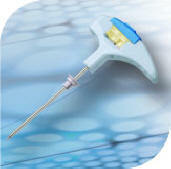 Paragon will revolutionize the bone-marrow biopsy procedure worldwide. PORT-JECT® needles and sets have been designed for safe and easy insertion into vascular access devices and may be used to administer continuous and/or bolus infusion of pain control medications, deliver chemotherapy, antibiotic therapy, or parental nutrition. 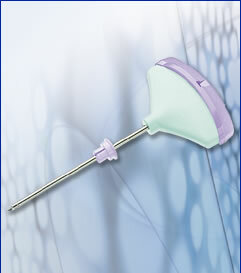 The unique Huber needle tip non-coring design promotes ease of penetration and maximum life for the port septum. Available in commonly used needle gauges and lengths, standard sets include extension line, with or without a Y injection site, single-action clamp, clear Lauer connector.